The trash talking T.O. needs to learn the 3 U’s. > News > The trash talking T.O. needs to learn the 3 U’s. 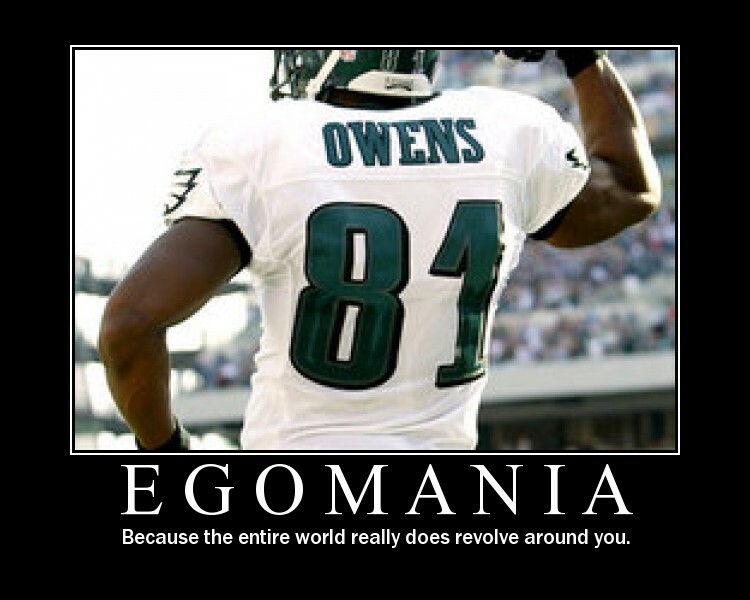 No body wants Terrell Owens? Well I wonder why?! Maybe because Terrell Owens is one of the most selfish athletes in all of sports? Maybe because he gets in the coaches face when things don’t go his way? Maybe because he cries and whines when the ball isn’t thrown his way. Maybe because he’s just a punk and an attention junkie and believes everyone around him is the problem? Whenever you believe everyone around you is the problem it is quite the opposite. YOU are the problem. T.O. is a disgrace to football and the sports world for that matter? I love how nobody looks at the good side. I mean, the man has almost 150 touchdowns, and has had almost 15,000 yards receiving. You guys can't say anything bout it. He is still a beast, and he is as funny as a mofo.